Welcome to the intersection of faith and the culture. This is WallBuilders Live! Where we’re talking about today’s hottest topics on policy, faith, and the culture. We always do that from a biblical, historical, and constitutional perspective. We’re here with David Barton and Tim Barton. 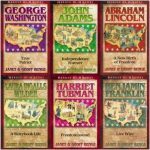 David is America’s premier historian and our founder here at WallBuilders. Tim Barton is a national speaker and pastor, and president of WallBuilders. And my name is Rick Green, I’m a former Texas legislator. Check us out online at WallBuildersLive.com and WallBuilders.com. Two different websites, lots of great information at both. 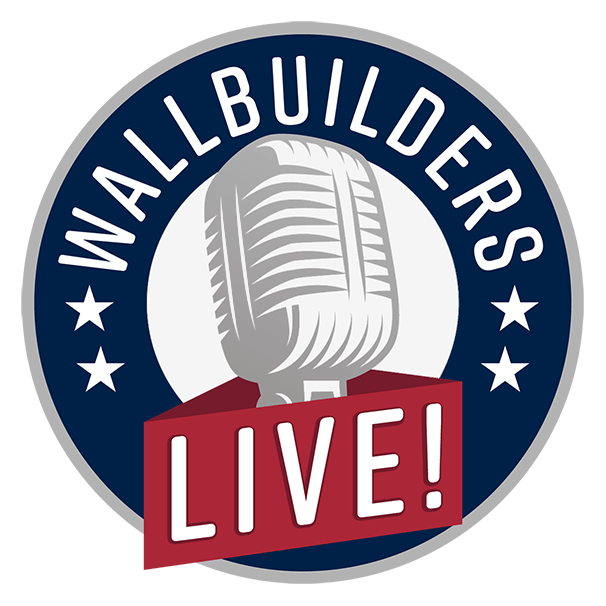 At the WallBuilders Live website you can get a list of our stations across the country airing the program, you can get archives of the program. 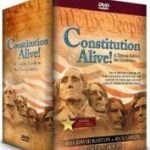 And then at WallBuilders.com you can get all kinds of great tools for yourself and your family to equip and inspire you to be better citizens and to help us save our Constitutional Republic. Later in the program, pastor Rob McCoy will be with us. He’s a pastor in California and also the mayor of Thousand Oaks with an incredible story. 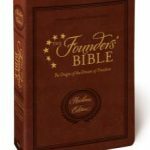 David, Tim, we’ve wanted pastors to be involved, more involved, in the culture like in the founding era and run for office. And several have and Rob’s one of those guys that has been elected, and then served at the local level, and has faced some very tough challenges over the last few months since he took the mayorship. Well, he has been elected local level, but he took a whippin’ to get there. He ran first for the state assembly in California and that– I was talking to some guys from Mississippi the other day and they said a State Rep race in California, or a state assembly equivalent, runs about 15,000 dollars. In Texas we’re looking at a couple hundred thousand dollars. But when he ran in California they wanted him out so bad that they poured several million into opposition against him. He lost narrowly, just a couple hundred votes in that race. They put more money against him in that state Assembly race then usually is spent in two U.S. congressional races put together. So, he did a great job, great campaign, had high turnout. It’s just they put so much to keep him out. So that’s an easy thing to get scarred from when you have that much money spent against you, that many ads run against you, that mean negative things said against you – really easily get scarred from that. But he came back and did not get out of the fight. He went and ran for local office, and got elected there for city council, and he took a beating on that as well. But now that he’s been in, man, he’s really been a unifier, he’s been a great guy. We know him as a Calvary Chapel pastor. We’ve been in his church. Rick, you and I have both spoken there. He’s just such a nice demeanored guy, got a really great sense of humor, just fun in so, so, many areas. And now here he is, he’s now the mayor of Thousand Oaks which is a city of 130,000 folks. In California that’s not that big, but that’s the size of Topeka, Kansas, it’s the size of a lot of other towns that you would think are fairly big. So, he’s there now and he just happened to be the guy on the spot when two of the biggest tragedies in the history of that city came about. What a time and place for him to be there and what a difference he made by being not only a pastor, but having the tone that he has as a pastor also being the mayor of Thousand Oaks, California. Those tragedies literally back to back in a matter of days. We’re going to get Rob McCoy’s story when we come back. Stay with us. You’re listening to WallBuilders Live. 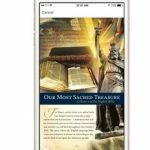 Hi, this is Tim Barton with WallBuilders and I want to encourage all the pastors out there with a unique opportunity that we’re presenting it WallBuilders. We’re doing a special tour just for pastors that you can come and learn more about the spiritual heritage of our nation. Not just seeing the sights but understanding the significance of what they are and what they represent. We get to go to the Capitol at night. And we get to see the spiritual heritage of our Founding Fathers, of who we are as a nation, where we came from. We bring in congressman that will tell you about current legislation, about our religious liberties and freedom, and what’s going on in Washington, D.C. If you’re a pastor or if you want to recommend your pastor for this trip, you can go to our website at www.WallBuilders.com. And there’s a link that’s for scheduling. If you click on that link there’s a section for pastor’s briefing. There’s more information about the dates, when it’s going, and how it’s going to happen. 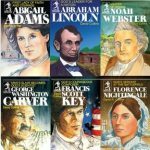 If you want to know more about our nation, our religious liberties, our freedom, our spiritual heritage, this is a trip you want to be a part of. Welcome back to WallBuilders Live. Thanks for staying with us today. Pastor Rob McCoy with us from Thousand Oaks, California. Pastor Rob, always good to have you, man. Thanks for coming back on. Thanks, Rick. It’s good to be with you. Now, I’m just not sure how to address you. Do I say “Pastor Mr. Mayor McCoy”, do I say “Mr. Mayor Pastor McCoy”– Do I– how do I mix these two? What do I do, man? You can call me your “gracious, forthright, magnanimous, illustrious, potentate” or you can just call me Rob. You’ve been working on that. I love it, I love it. Hey, we’re super excited for you, bro, and super excited for Thousand Oaks to have your leadership as mayor. Of course, you’ve served on the council and been one of the best examples of a Black Robed Regiment pastor in the country. That’s why we’ve loved having you on the program.You took office, I guess what, in December? Yeah, I took office early December as mayor. Alright, and you, man, you talk about God’s timing – the city needed you even right before you got sworn in. You guys were hit with major tragedies just back to back. Literally in the same week. Tell us what that was like going into this situation and how important it was to have a church body that was united to serve the community – both for the shooting that took place and then, of course, for the fires. Yeah. I was mayor pro tem at the time, we had the election that Tuesday night. And, as you know, California didn’t go real well. So, I was up most the night. And then kind of working through some of the pain some of the candidates had that had lost. So, I don’t get much sleep Tuesday, and Wednesday we had church service. Came home, got to bed about 11:30, and about 12:15 Thursday morning early my daughter was knocking on the sliding glass door. She said she’d been listening to police scanner and there’d been a shooting at the border line. And I looked at my phone and it was lighting up from the police chief and city manager. So, I headed down to the command center just right by the border line. And then a 60 hour day started. We assessed the situation and our mayor at the time who was an assistant fire chief for the city of L.A., Andy Fox, remarkable man, and then another council member, Joel Price, police detective, were instrumental in just kind of processing all the information as it was flooding in. We started to see folks gather. They were parents looking for their kids. And we had given a number you could call into to see if your child had been admitted to one of the local hospitals. But these were parents that were gathering because they tried that line and they had no answer. So, we realized we had to set up a location. And as we started to hear the body count increasing, we put a place where these families could go and it was at the Alex Fiore Teen Center. And we disbanded as a council about three o’clock in the morning, maybe two. I started to head home and I just felt called to go to the teen center to be with the families. And I stayed with them through the night. –12 that were killed that night and others injured. This was a major, major, tragedy in your community. So, you get you get there and there’s a lot of families that have been affected, and a lot of families that maybe don’t even know yet. –and they were having a reunion. So, two the victims, I believe, had survived the shooting in Las Vegas. And we lost an officer that night, Sergeant Hillis, and we lost 11 young lives. One older gentleman, Sean Adler, who was overseeing it, he was a bouncer that night. And there were hundreds of kids there, it was college night, and they broke the windows, and * out. We actually lost two congregants from our church in that shooting. And it was a– oh man– it was a rough night. Yeah. I can’t imagine. And for you to have to– obviously as a pastor you’ve dealt with tragedy before this, had to be the worst that you faced, I’m assuming, and to be coming off election– I know what it’s like to be at the end of election, you’re already physically worn out. Obviously, God had to strengthen you. But when you got there and those families were searching for answers, for you as a leader, as a mayor, how important was the faith element and the fact that you couldn’t necessarily say the perfect thing for them, but yet it wasn’t the same as being void of a God or any hope? How did you approach that? Well, there was a– when I was a sheriff’s chaplain for the Ventre County Sheriff’s Department, there was a wise minister who said, “It’s not so much to say anything as much as it’s the ministry of presence and just being there with them – a neck to hug, a hand to hold.” And we went with them through the night. We had a couple of emergency council meetings. And then later that afternoon as they had been expecting the inevitable, as these families started to be a member of a club they never wanted to have membership in, one by one they would be taken to a room and told that their child’s body was confirmed as one of the victims. You’d think that they’d been preparing all night for that, but in each of the cases when I went into the room with the families, it was just absolute grief. And it wasn’t so much they were asking me about my faith, or that I was proselytizing, or anything along those lines, as much as my heart was breaking just like theirs. The night you’re going home from this– so, the shooting is Wednesday night, you’re there all night with them, you get home Thursday, so you don’t even have a night at home in bed before you’ve got to evacuate? Wow. Wow. And these were the fires– obviously, it’s across the country, we saw this on television. This was large areas of California that were hit by this. So, you guys had to move out that night and I’m assuming a lot of people from your church as well. Yeah, yeah. We had quite a few folks from our church that were at the borderline that night, some of the young folks. And we were just visiting, seeing how everybody was doing, a few of them were injured. The fires or something we’re familiar with, but just following right after this just awful, awful, shooting, it was a lot to take. And then the next morning after a brief moment of sleep, I went out to visit some of the evacuation sites to see how the citizens were doing and just comforting people the best of our ability. Then we had the long process of doing all the memorial services for each of the victims. And to the credit of the elected officials – whether Democrat, Republican, Independent – there was a unity in the city where we all came together and the official sat at each of these services, attended every one of them. It was a profound move of solidarity, and it was an impactful time, and we’re all still hurting. This is only a couple of months after – what have you seen community wise? At this point, these type of things tend to bring people together. Is there– is Thousand Oaks a little bit different from the rest of the country right now from the– we just seem to be so at each other’s throats politically and everything else. What are you guys experiencing on the heels of all this? –and it’s just one heartache after another. And, you know, you sign up for it. And I just hurt for the all the people of Thousand Oaks because you just can’t even put words to it how tough it’s been. But God’s grace is sufficient, and the folks have been ministered to, and we continue to do that. And each of the memorial services was precious in their own way. The families of our church that were affected, that lost kids– one in particular, a Marine who did our special needs ministry,Dan *, and also worked with veterans, he was shot. Blake Dingman, his parents go to our church, his grandparents go to our church, he was killed. His best friend, Jake Dunham, was killed. It was just awful. Our mutual friend, David Lane, had an article in charisma about this. And, of course, I love that he quoted from the MercyMe song “Even If”, one of my favorites. But that– just the fact that even in these times where you’re in the fire, you’re in the heat of that crucible, that trust and that faith is critical. I have to believe, Rob, God – obviously no surprises for Him, but that He appointed you for such a time as this and that He’s using you in a mighty way. We’ve talked on the program before about the importance of Christians being involved in the culture and being salt and light. But we don’t talk as much about just the willingness to serve our fellow man and being willing to step out there like you’re doing. That’s just something David, and Tim, and I, wanted to highlight today and thank you for serving. Because we do believe it’s an inspiration to other Christians and pastors around the country that are thinking, “Okay, God, how can I be used? We’re doing our thing at the church, but we’re watching the culture fall apart around us, and our government fall apart around us.” And we just thank the Lord for you, man. Your persistence and your willingness. So, we just wanted to thank you for what you’re doing. How can how can our listeners pray for you, man? Not only these tragedies that you’re facing, but obviously, being mayor of a town this size and in the state of California, you’re facing all kinds of challenges. And I bet you’re getting hit from both sides – a lot of Christians probably saying, “Hey, you’re supposed to just be a pastor.”, and all the things that happen when you’re a Christian in politics. So, what would you ask people to pray for you and for other pastors that are leading in this way across the country? Well, the admonition from Paul to Timothy is true for all of our elected officials. When when we decry kind of the condition of the country, we tend to reach out and blame a politician. And good government happens with good people. And I served with a number of amazing folks that, they may not they may not hold my ideological beliefs or my faith, but they stepped in willingly. The one thing we need according to what Paul laid out is to pray for kings and those in authority that we would live quiet and peaceable lives in all godliness and reverence. Oftentimes we pray for federal leaders, we pray for our president, but I would ask our listeners – how many of you know the names of your five school board members and your five city council members and do you pray for them by name? And do you pray for the issues they are dealing with so that your community can live quiet and peaceable lives in godliness and reverence? We tend to put all our hope in the federal government, but federal is downstream. That’s why they call it the swamp. The source is local. Get involved. Help these folks. I sit through six hour meetings on the circumference of oak trees in council meetings that will cure insomnia. This is day in and day out government. And this is a republic that’s consent of the governed. So participate. Don’t just decry it and complain – be a part of it. Get involved. So good. So good, man. That is such a good word because you’re exactly right. Everybody thinks about the federal Congress, they think about what the president’s doing, but it’s the local office that has more impact on our backyards, our homes, our families, our schools, our children, than the state or the federal – you’re 100 percent right. And one thing the Barton’s and I have said for years is, man, if churches just paid attention to those school board races and city council races they can take over those areas and bring godly principles back into that arena. We see it happening right there in Thousand Oaks. So, great word, man. Good encouragement. We wish you the best, brother, and look forward to having you back again soon. And just praying for you and your whole team there at the church and on the city council. Thanks for your time today. Thanks, Rick. God bless you guys. He had a– he’d been practicing that, I think. It was pretty good. Yeah. That’s his sense of humor. And it’s just fun having a pastor with a sense of humor like he does and being able to laugh at himself and make everybody else laugh at him is really good. And just imagine the difference. They went through the mass shooting and then right into the fires. And imagine if it had been someone other than Rob who was there. Your typical politician kind of guy who, certainly, would be a good hearted individual and as Rob pointed out, they were all there for every memorial service of all those that were killed. But having the pastor there to be able to the minister the way he did, what a real time. And, by the way, one of the cool things that I think is so neat about Rob is he’s a pastor outside the four walls of his church. We just see too many churches today where it’s real common that you’re really good inside the four walls, but nobody knows you outside the four walls. And here’s a situation where he really is a community pastor, as a mayor, outside the four walls. And, boy, maybe nobody’s needed a pastors as much as what Thousand Oaks did there with the mass shootings and the fires. –without having help in that situation, life is so much tougher. So, being in a position where in that situation he was called upon it and what did he say? What was it? 60 something hour a day he ended up having because he just didn’t go to bed. And he went from one event, to the other event, and all he’s dealing with, and all he’s going through, where you see how significant faith is for him. How Do You Get Good People In Government? Dad, as you mentioned, it’s a pretty special deal when your political leaders are people who know and are connected to God, who know the word, who can be there for you. And, Rick, I think you brought it up in the interview – when you’re in those situations and there’s only so much you can do and say, but just being present was something so significant. As he pointed out, that just being there for people, letting them know you are there, was such a big deal. He’s gone through a lot and you could hear as he was talking about this in the interview, just kind of the somber nature as he’s remembering that the families that have been impacted, the people that were part of his church, and now the fires on top of it – what they’re dealing with and going through – so much to go through. And having somebody of faith, to me, would be more assuring in that moment to look to knowing that they know who God is. And we can call on God and those moments. Yeah, Tim, let me kind of blow up something you said there because Rob made a comment about this as he was closing and I think it’s a great comment. You said how good it is to have people of faith there. Rob made the comment, he said, “Good government happens with good people.” Well, that’s a Bible– Proverbs 29:2 says the same thing. But how do you get good people in government? And then he asks, “Do you know the names your school board members? Yeah, that was a great question. Do you know your city council member? That is a really insightful question. And that was convicting to me, actually, because I thought I don’t know the name of all the school board members in my town – oh my gosh. I know a couple names of city council, a couple names of school board, and I ask them, “Hey, how’s it going? What’s going on? What’s it looking like? But I don’t even know them all. We Ought To At Least Be Praying! And to be able to pray for them all by name, as he mentioned, I thought that is such an important thing as Christians. Even if we’re not going and sitting in on city council meetings, if we’re not going and sitting in on school board meetings, we ought to at least know who they are and be praying for them as they’re making vital decisions. And even as he pointed out, he’s going to have to deal with protests from the Westboro Baptists as they’re going to come and– and, the Westboro Baptists, for people that don’t know, they can Google them. It’s a group of people who are professing Christians, but they’re very anti America in some regards, they’re very anti-war. When soldiers died they would go and protest. And there’s no doubt that God does bring judgment on nations for sin and at one point Billy Graham even mentioned that if God doesn’t judge America for some of our our shameful positions that God might have to apologize to Sodom and Gomorrah because we’ve allowed such debauchery in America and it’s something we need to stop. But obviously in the midst of the situation with Rob, this is where Paul, the Apostle Paul from the Bible, points out that you weep with those that weep, you mourn with those that mourn, and this is a time that really we ought to be praying for those people that are hurting – not going and speaking condemnation over them. I laughed at that. That was good. I thought of some old legislative hearings and committee hearings I had to sit through. So, I could relate a little bit to that one. And at the local level, so much of what happens is so boring. But it is for those key important moments that you want the right kind of people there. It’s the times when there’s tragedy. It’s the times when they’re going to vote on whether you should have prayer at a football game. But this is why it’s so important to have good people in local office, it’s that 1 percent of the time when they really have a key decision to make. We need more of them, folks. 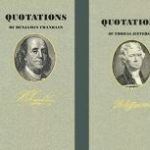 If you’d like to learn more about how to run for office, or if you should run for office, you need to be studying those materials available right now at WallBuilders.com. We’d love to see more pastors and Christians running for office. We need them in those leadership positions for sure. If you’d like to hear more interviews like this, visit WallBuildersLive.com and go into that archive section. But also be sure and check out that donate button because we’re a listener supported program and we’re able to bring you interviews like this because of you supporting. So many great supporters out there across the nation, we greatly appreciate what you’re doing for us. If you would please consider going to the website and making that donation. It could be a one time donation or it could be a monthly donation. That really helps us in our planning and programs throughout the year. But check that out and consider coming alongside us and being a part of our team.